I don't have a superhero loving boy in my house anymore, but I am still in love with these cute superhero storage bins. And I am pretty sure my nephew needs these. Like REALLY needs these! 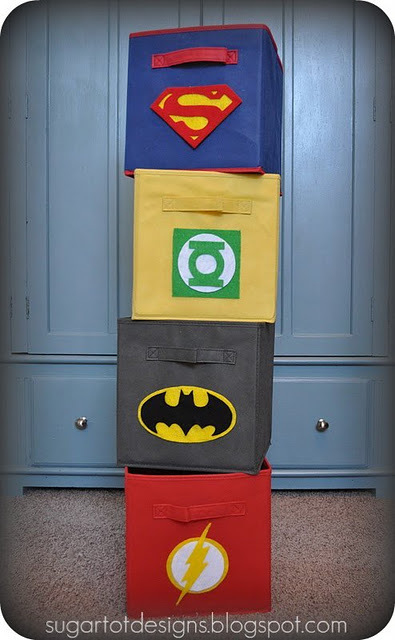 With a little felt and these free printable superhero logos you can create some fun storage bins your little superhero will love. You can check out the Superhero bin tutorial over at SugarTot Designs. Thank you for featuring my boys superhero bins. They sure do love them.